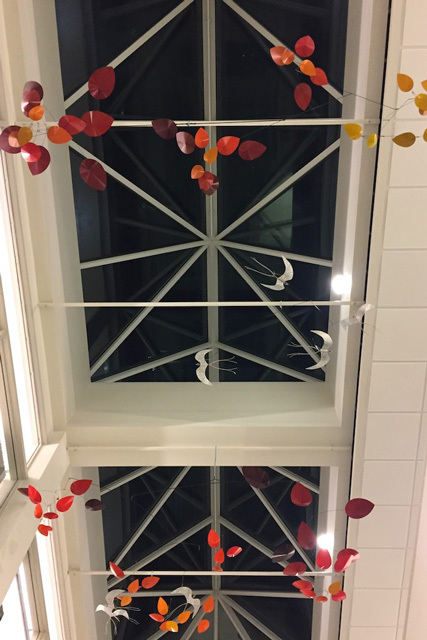 Mobiles are the perfect intersection of art, problem-solving, and psychology. Designing mobiles means thinking about color and form. Constructing mobiles means figuring out how to balance each branch so that the movement is fluid and the elements interact with one another. Presenting mobiles to you, the audience, means watching you respond to them. For both adults and children, mobiles are calming. They mesmerize us, letting us step away from everyday chaos. I am an artist and therapist who loves working through puzzles. Mobiles fascinate me for a number of reasons: their unpredictable movements, the way they play with light and shadow, and how they entice people to interact with them. To make each mobile, I use cold- and hot-working techniques to shape metal. The sculptural elements, I create with polymer clay, paper, glass beads, and metals. 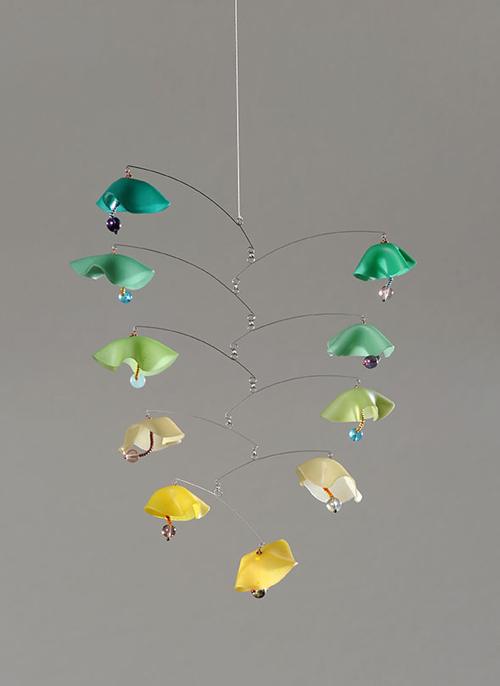 I make mobiles (hanging, kinetic sculptures) that move with the breeze and interact with light. To make the branches, I use cold- and hot-working techniques to form metal. The sculptural elements are inspired by nature, and I create them with glass beads, polymer clay, paper, cloth and metals. Each piece, I make by hand, sometimes painting and sometimes sculpting. The process I use is informed by the feeling I want to capture. 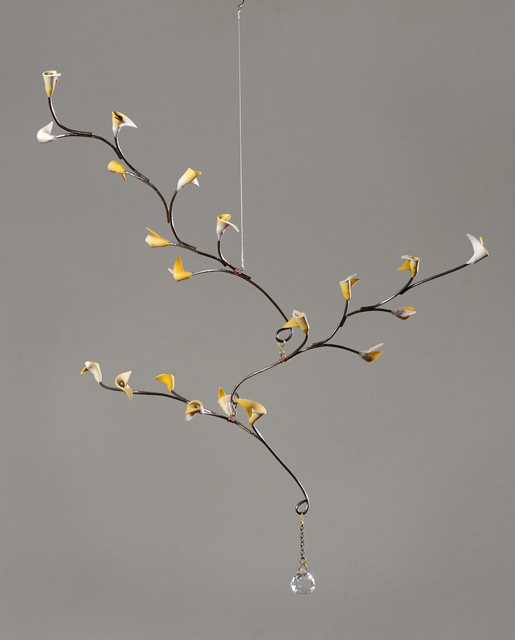 The final step for each mobile is assemblage; I balance each branch against the others to create fluid movement.